You can live without food for 3 weeks, but take away your water and you can last only 3 days. 65% of our body is made of water. Try growing something without water and see how that goes for you! 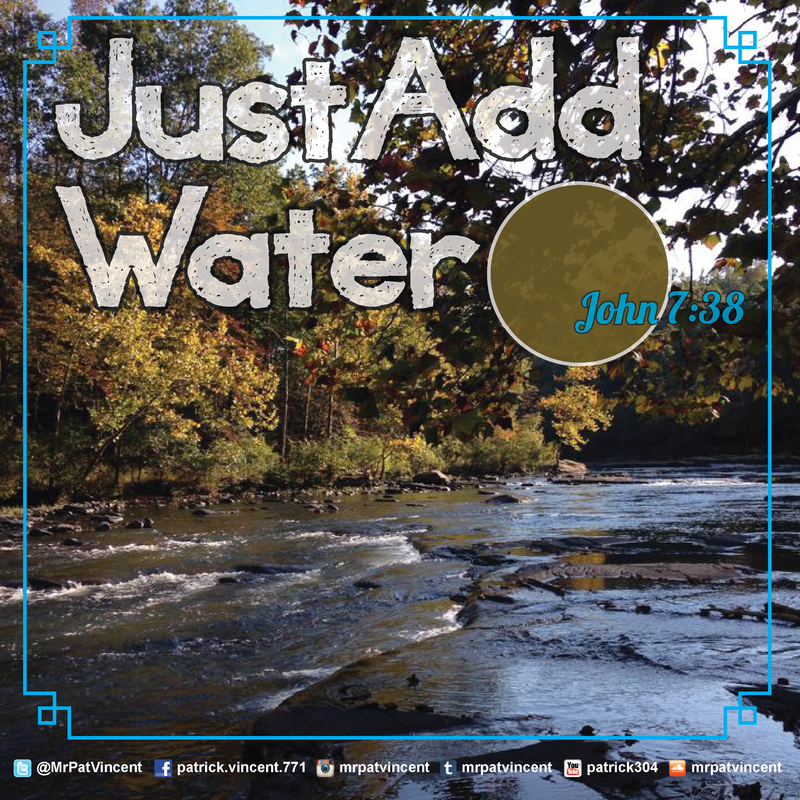 John 7:38 tells us that rivers of living water will flow from the heart of whoever believes in Jesus. Rivers! How refreshing does that sound? If you are thirsty, all you have to do is drink. This entry was posted in Christian and tagged Bible, blessed, Charles Stanley, cheerful giver, Christ, Christian, Christianity, church, David, Environment, Faith, giving, God, God Bless, God's love, God's Praise Room, Gospel, Heart of David, Holy Spirit, Holy Water, Hope, Jesus, Jesus Christ, liveforJesus, Living Water, Lord, Love, Messiah, Ministry, Not a Fan, prayer, Psalms, Quenched, Religion, Religion and Spirituality, Salvation, Scripture, spiritfilledlife, spiritualwarfare, Water, Water Resources, Worship. Bookmark the permalink.